Ordinarily, in two to three years time, a memory of a dead person becomes more or less erased between people outside his immediate family, but this is not true in the case of our colossal emir, Alh. (Dr.) Ado Bayero! 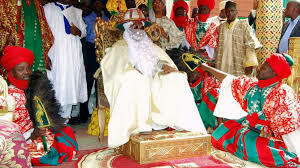 The revered emir of kano hail from a ruling house of Gidan Dabo, a clan of Sullubawa. He was the 13th emir since after the Uthman Danfodio jihad. His last appointment before ascension to the throne in 1963 at the age of 33, was Nigerian ambassador to Senegal. He was a former Member of Parliament and Police Boss. Our emir answered the call of his Creator on one fateful Friday morning, after a protracted illness, at the age of 83, leaving behind 30 sons, 32 daughters and over 300 grand children of his own as well as thousands of others within his extended family, that were under his care. “...I want to use this unique opportunity to seek for forgiveness from all and sundry that I might have offended directly or indirectly. I have forgiven all”. This is the most striking part of his golden jubilee speech which portrayed him as someone who harbored no grudges against anyone: This is a rare quality especially of people of his personality. Many times the emir was out of his palace, undoubtedly, he was attending one Islamic school Quranic graduation or another. “Allah Kara maka imani! Allah Kara maka imani! Allah Kara maka imani!...” Meaning, “may Allah increase you in faith” is the chanting that would greet your ears from the innocent children when they sight their darling king at the event of Quranic graduation; And for the adults, they would break into welcoming smiles with their thumbs up in the air to the emir as sign of respect to him. The emir would then respond with gentle smiles. At other times, the emir would be out commissioning Islamic structures like, mosques, Islamic schools or research centers, etcetera, which he used to do not by the usual cutting of tape but by leading prayer, in which cases he donated in millions. The emir was also a promoter of Western education and a critic of the dreaded Boko Haram. Dr. Ado Bayero gave a sense of belonging to all and sundry under Kano emirate, including the non-indigenes. This habit helps in making Kano a center of commerce. During annual Durbas, he made tours round Kano to greet his people. For the Hawan Nassarawa, the emir would visit the settler area of Sabon Gari to see and greet the people there. To facilitate peace, he appointed leaders among them, for instance the sarkin Yarabawa (traditional leader of Yoruba), sarkin Inyamurai (traditional leader of Igbo) and Sarkin Nupawa (traditional leader of Nupawa) among others. To exemplify inter ethnic marriage; the emir married Hajiya Maryam, popularly called 'Illorin'. As an embodiment of peace, the leader settled disputes among his subjects in such a way that his decision was acceptable by both parties, at times more than that of the conventional courts. 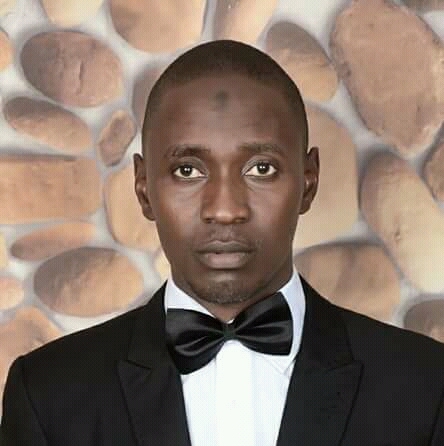 Closeness or relationship with the emir doesn't immune one from his dispensation of justice and fairness as it was evident in some cases involving his district or ward heads and host of others. His dispute settlement didn't only stop among his ordinary subjects, even the high and mighty within and outside the state sought his help in settling dispute, which he offered with much interest. A clear example was a time when two warring kings from southern Nigeria couldn't sheath their sword despite efforts by their colleagues from other kingdoms. But when the Kano monarch intervened, their war became history. Perhaps, this may be the reason he was conferred with the title of Justice of the Peace (JP). Common people visited him in his palace and he gave them attentive audience. They took gifts to him like moringa, a loaf of bread, and a piece of pineapple or any other thing they could afford which he always collected happily. He was so generous and concerned about common man to the level that he recognized the places some of them used to sit in his mosque that when he didn't see them he would ask after them, sometimes he would be told that the unavailable person was ejected from his rented house that was at a trekking distance with the palace but now he relocated to a far place. In such a case Bakan Dabo would order for a purchase of a nearby house and gift it to the man. Or if it was sickness that prevented the man from showing up, he would sponsor his medical bills, even if that required taking the sick person to a hospital abroad. These and many more exceptional qualities earned the emir reverence among his people to such a level that he was immortalized since during his lifetime. Many young and adult men who bear the name “Ado” in Kano and its environs, were named after the emir. I have never known a famous person, celebrities inclusive, whose pictures adorn the house walls, offices, buses, taxis, screens, and bikes like the emir Ado's. Many schools, roads, hospitals, bridges, libraries, halls, public gates, shopping malls, research centers etc, within and outside Kano were named in his honor. Just like Chinua Achebe in the field of literature, or Aliko Dangote in business who carved a niche for themselves in their respective specializations which gave Nigeria a good name in the eyes of the world, Alh. Ado Bayero who was close to Her Majesty the Queen of England uplifted the image of the country in the world. This is because of his royal uniqueness. In his life time, Her Majesty and her son Prince Charles at different occasions payed homage visits all the way from the Great Britain to the Kano Emirate Palace to great the emir. Maimartaba was indeed among the great Africa Who's Who. Our father Takawa, as you reach four years away from us, we remain fatherless, and still mourn your demise because of the huge legacies you bequeathed us. We will continue praying and writing about you till the conversion of the Jews. We love you, but Allah loves you most. Our colossal emir, keep on resting in peace! Glory be to Allah for giving us the chance to benefit from you. May Allah admit you in Jannatul Firdaus.